Car & Day & Martin Gallop Colour Shampoo is specially formulated to enhance and intensify the natural colour of your horses coat. 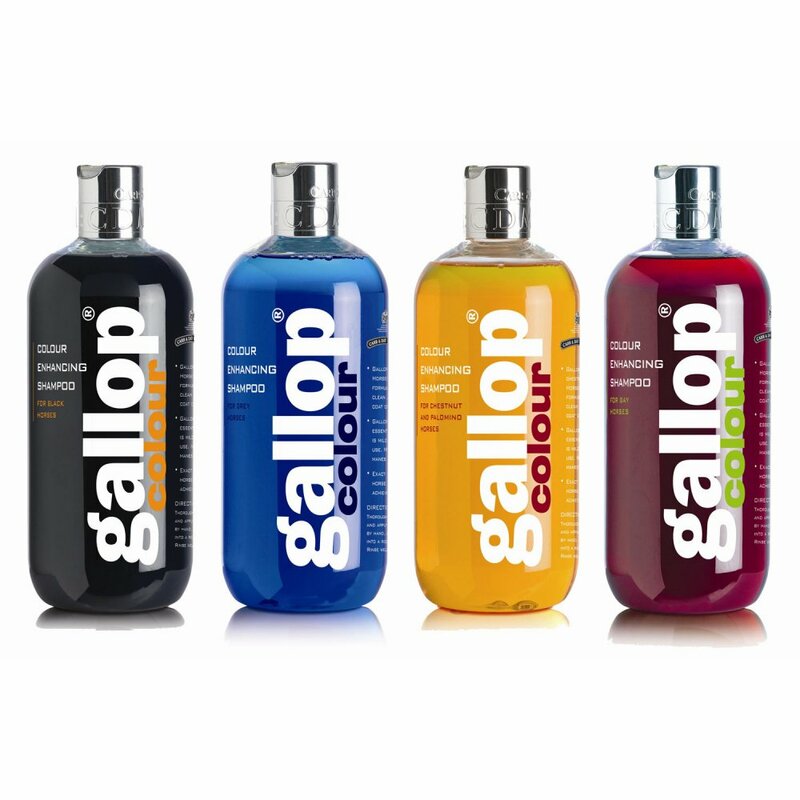 This Gallop Shampoo will enrich colour whilst also cleaning and conditioning the coat. Gallop Colour Shampoo provides stunning results without an exact coat colour match being necessary. Gallop Colour Shampoo is suitable for routine use as well as being ideal for show preparation and is available as Gallop Grey Shampoo, Gallop Bay Shampoo, Gallop Black Shampoo and Gallop Chestnut Shampoo. For best results apply Gallop Colour Shampoos directly ino a wet coat and work into a lather with either your hands, a sponge or a brush, this shampoo is also suitable for use on manes and tails. Rinse thoroughly for immediate results. This 500ml bottle of Gallop Shampoo should last 5-10 washes.